Don’t let that other holiday get you down – bundle up the kids, grab your menorah and join us for a night of light and fun! Together we will enjoy latkes, dreidls, singing, Chanukah crafts and a casual music jam. We will be making havdallah and lighting candles together at 6:45 pm. 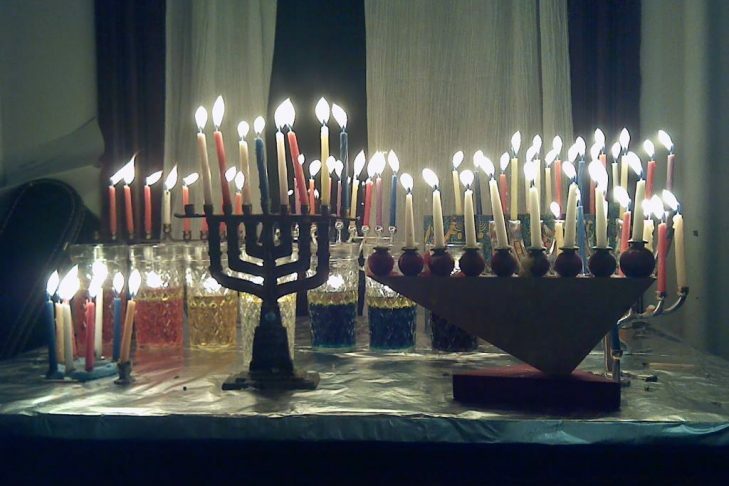 You are invited to bring your musical instruments as well as your chanukiah (menorah) or share in lighting one of ours. Contributions towards a potluck dinner are welcome.